New information this morning about the arrest of a man who allegedly robbed a CTA passenger at gunpoint onboard a train in the Loop on January 7. 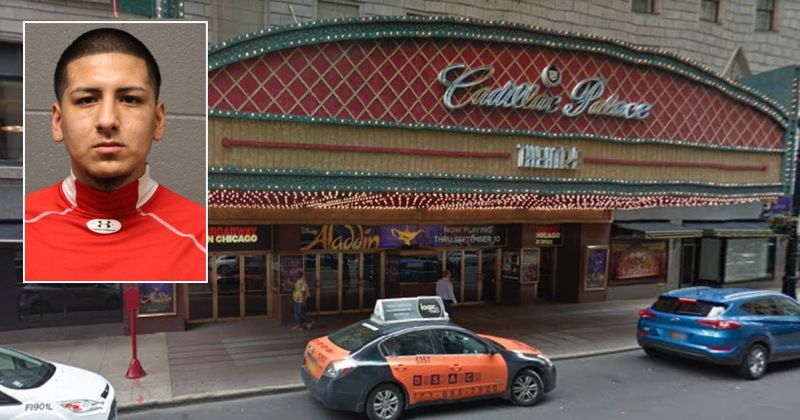 As we reported this weekend, cops arrested 20-year-old John Peralta outside of the Cadillac Palace Theatre around 4:40 p.m., moments after the robbery took place at the Washington/Wells station. Now, CWB has learned that the cops who made the arrest were on their way to a second robbery taking place near the Palace Theatre stage door entrance on Wells Street. As they neared the theater, the cops said they saw Peralta drop a gun in the crosswalk at LaSalle and Randolph, authorities said. He picked it up, put it back in his waistband and shuffled away, they said. 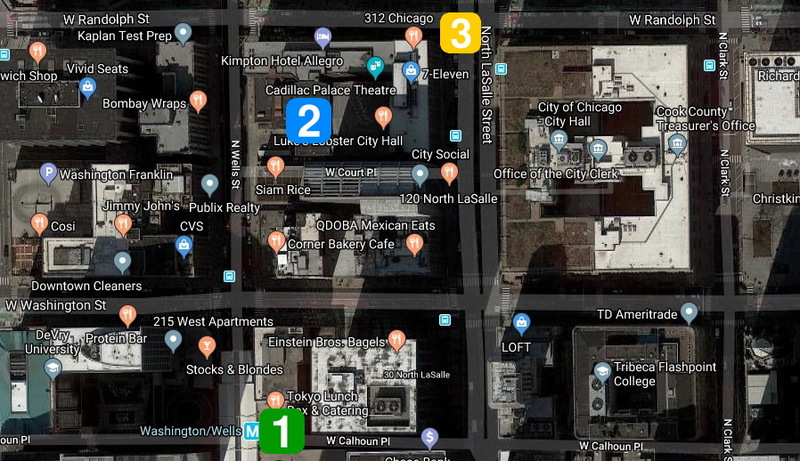 Locations of first alleged robbery (1); second alleged robbery (2) and Peralta's arrest (3). Peralta is charged with robbing the second man. Judge David Navarro ordered him held without bail.